Players have the option to play for free or real money and the option to host your own tournament. 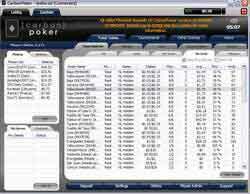 CarbonPoker.com is powered by the Merge Network (a shared table platform shared with Poker.com platform)Random Number Generator CarbonPoker.com uses a RNG (random number generator) to ensure that all players are dealt a fair deal hand each and every game.The RNG system produces innumerable permutations and combinations in the 52-card deck that is virtually impossible to predict. The numbers must be unpredictable and not related to each other in any way to be considered truly random. The CarbonPoker.com random number generator, has been tested and certified by Gaming Associates on behalf of the Kahnawake Gaming Commission as a part of the licensing process. 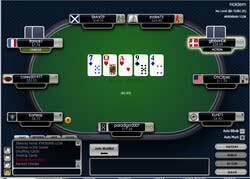 The random number generator has been found to deal cards from the deck such that each card has an equal chance of being selected unless it had already been dealt in the poker game.